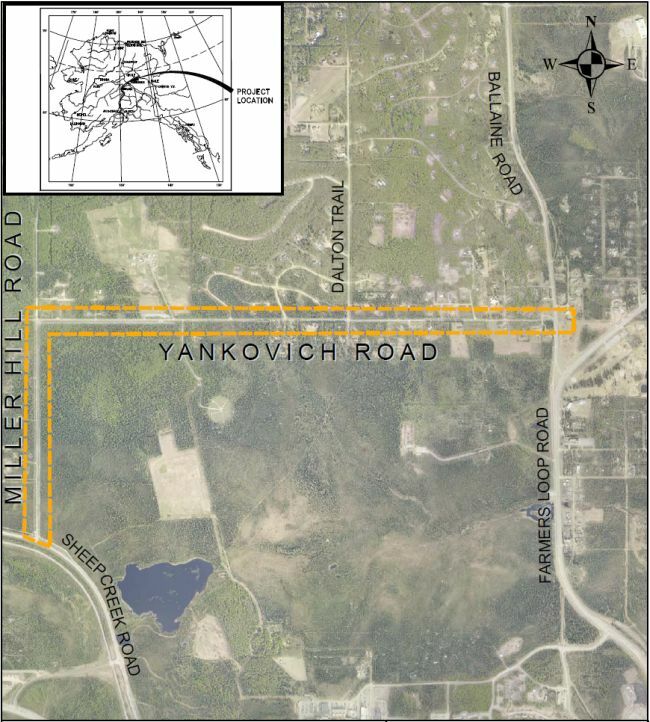 Yankovich Road and Miller Hill Road serve vehicular and pedestrian traffic between Sheep Creek Road and Ballaine Road. Miller Hill Road is a 0.71-mile north-south roadway that connects Sheep Creek Road on the south and Yankovich Road on the north with a separated bike path along the east side. Yankovich Road is a 1.67-mile east-west corridor with residences and some public points of interest such as the Large Animal Research Station (LARS). The two roads are similar in character with narrow 10-foot lanes for vehicular traffic and 0- to 2-foot shoulders for other users. Actions noted in the project scope will improve safety for pedestrian, bicycle and vehicle traffic on Yankovich Road and Miller Hill Road.